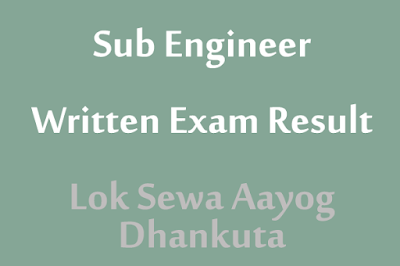 Lok Sewa Aayog (PSC) Dipayel office has published the result of written exam of sub engineer post. Listed candidates must bring PP size photos, original documents, and admit card on the interview. The interview date is 2075 Bhadra 22. Check the PDF file of Sub Engineer Written Exam Result Dhankuta below that taken from Official Site. Download link is below the preview of the result. Click on download button to download this Lok Sewa Aayog result.